I found this picture on Pinterest and I thought it pretty much summed up what I want this post to be about. 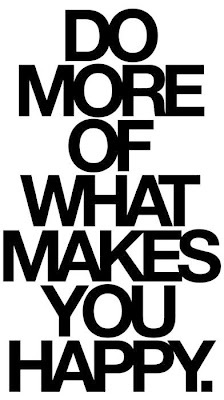 Do more of what makes you happy. Which is what I did three months ago today. I started to blog. I was nervous, I felt silly just typing away talking to myself, I worried that no-one would read it and I was afraid that people would think it was stupid. But at the start of 2013 I made myself a promise that this year would be about me, putting myself first rather than fussing about what other people want/think. At first I didn't tell anyone I knew in 'real life' away from the blogging world, not even my mum! I thought at least if it was a total failure, it could be one without other people knowing. Then I realised I was starting out with a negative outset assuming it would fail, that I would fail. So I told my mum, I posted links on my Twitter and on my personal Facebook. For me it was a big step. People assume I'm confident because I'm quite loud, but I genuinely had knots in my stomach wondering if people would laugh at me- I care too much about what people think of me and it's such a bad trait! I chose to share my blog with people I know because I'm bloody proud! My blog might only be small in comparison to some, but I have worked my arse off on it, changing the layout, writing posts people will be interested in, trying to take decent pictures of products. It's quite the task, especially for a technophobe like me! But I'm proud of myself as well for putting myself out there. It's something I never thought I would do- I never thought I had a set of balls big enough! My confidence has grown so much lately because of blogging because it was so huge for me to finally take the plunge. I feel like I've found something I'm kind of good at and it's something I massively enjoy doing! It was possibly one of the best decisions I've ever made. So to mark my 3 month anniversary (I'm aware that's a cringey thing to say) I thought I'd share with you the blogs I enjoy reading in the hope that you will too! And if you're thinking of starting a blog, my advice would be to just do it. Push yourself out of your comfort zone, go one step further and do what makes you happy! 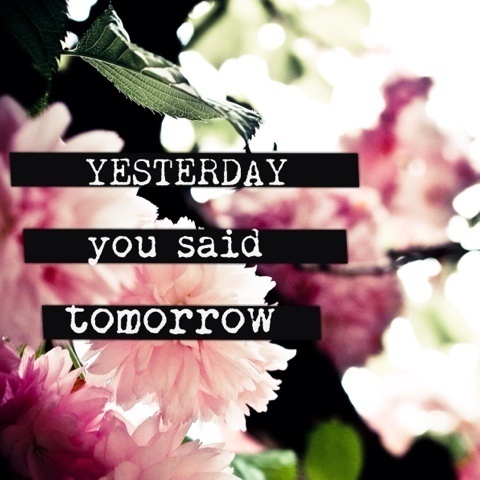 Or even if it's nothing to do with blogging, push yourself. 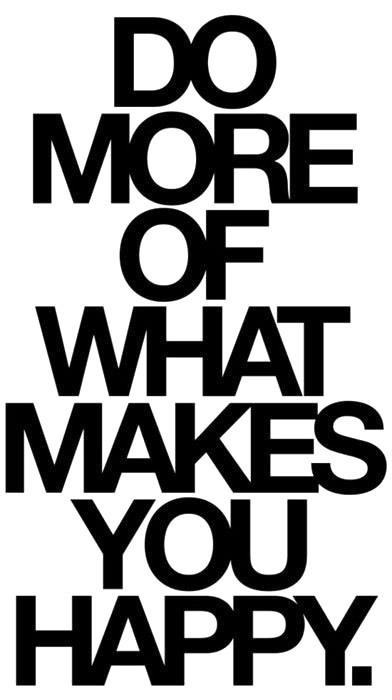 Whether it be a friendship, relationship, job etc, just do what makes you happy. Do things for your own benefit not for other peoples. And believe in yourself, because if you don't, how can you expect other people to believe in you? 2) Megan from Bigmegowski always has such varied posts- her blog is perfect for anyone! 4) Glamglitzgloss is such a good writer. I feel really comfortable reading her blog, like it's just two friends having a natter. Does that make sense? 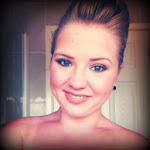 5) Kayleigh x-couturegirl-x is just fabulous. I want her life, her makeup, her fashion. I just love her ok? I hope you enjoyed this post and I'd like to thank everyone that reads my blog, the people that tweet me telling me they enjoy it and the people that write such lovely comments on my posts. It makes my day!